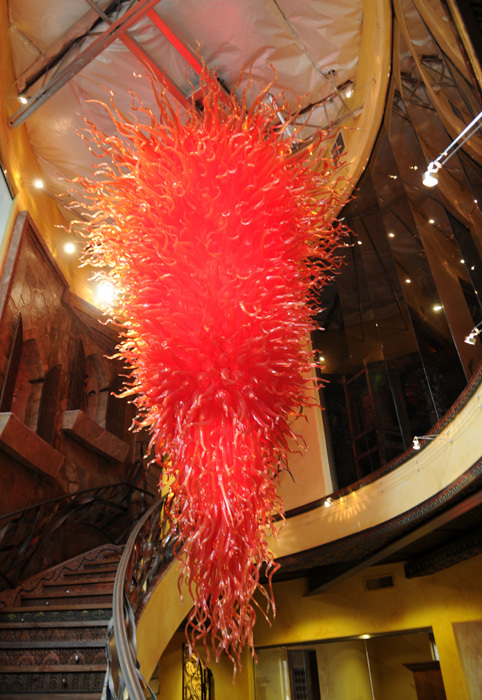 Many of you may have seen lighting inspired by famous glass artisan, Dale Chihuly. 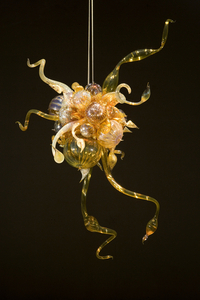 His work is a play on color and mimics the semblance of jellyfish tentacles. 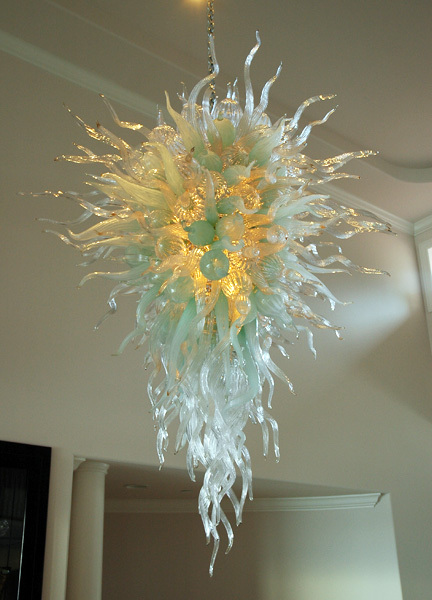 One of our current clients fell in love with the foyer of a home showcased in Christie’s Great Estates where a Chihuly-like fixture was prominently displayed. 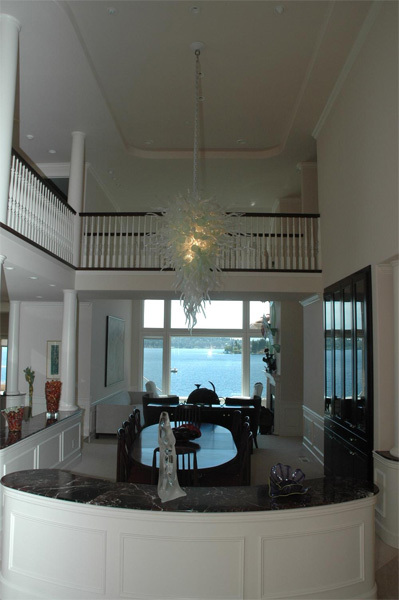 Therefore, we are working on a similar design for her home. 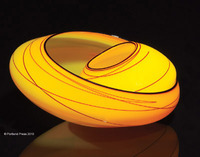 Once I decide on the right scale, mix of colors and final design for her light fixture, I will share it with you. 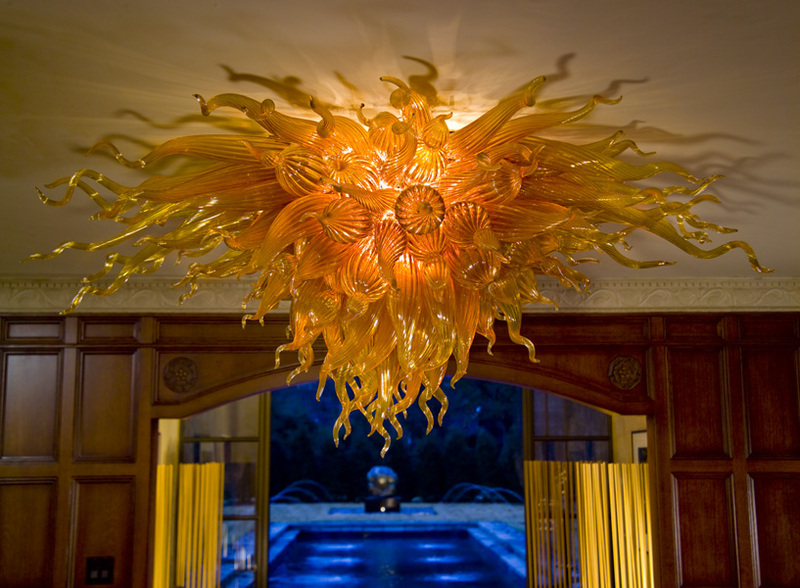 In the meantime, check out these Chihuly-inspired light fixtures and glass art, which are the source of my inspiration. 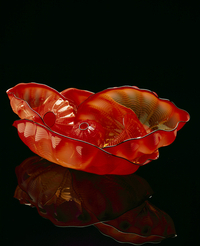 Dale Chihuly Blown Glass. Stunning! A Play on Color. Fabulous! Thanks Amy. Sorry for the slow response. Been a bit slammed the past few weeks. 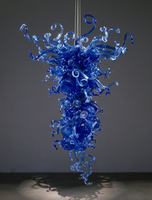 This glass art is absolutely gorgeous. 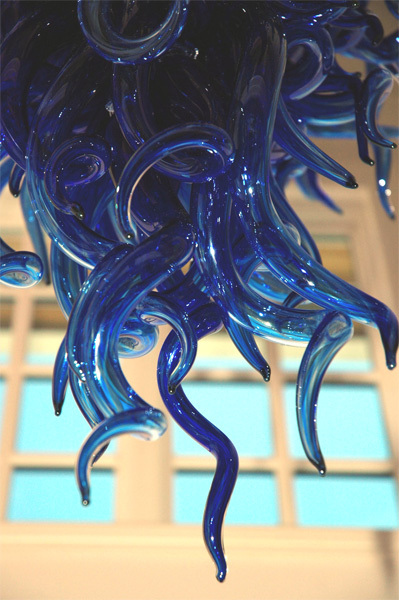 It is so unique and spectacular and the color would add so much interest to any room, I would to have some of this in my own house! 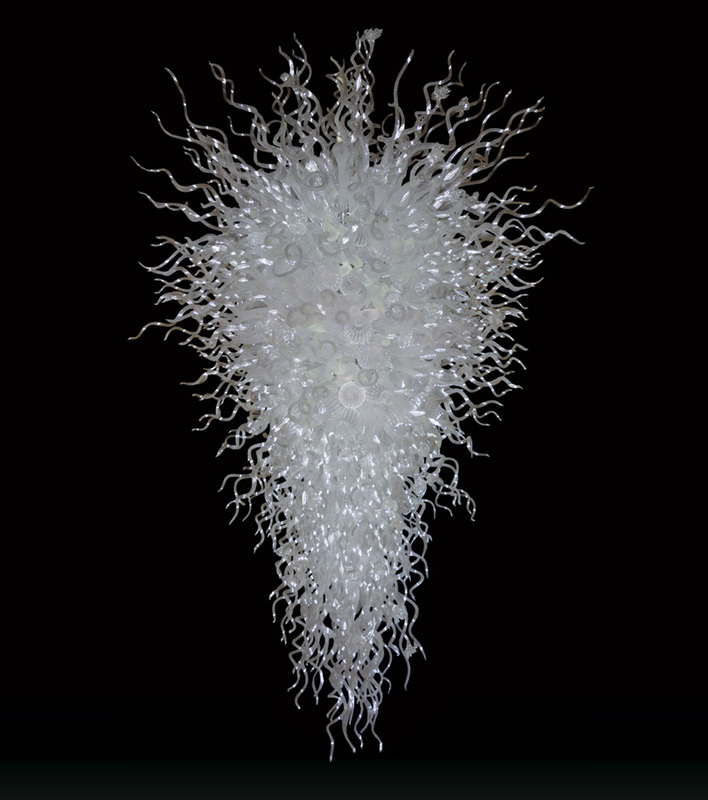 I saw his work at West Palm Beach’s Norton Museum of Art. 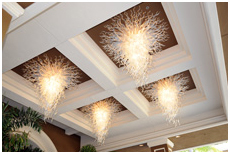 He created a beautiful ceiling covered with sea creatures. Loved it…wanted to move in. I know. His work is so incredible!! !